Close This Ad Welcome to traditionalhome.com Luxury Christmas Trees Pre-Lit Artificial Christmas Trees with Lifelike Branches - from $399 www.Frontgate.com Outdoor Christmas Decor We've Got Outdoor Christmas Decor! Shop Online. Shop Smarter. 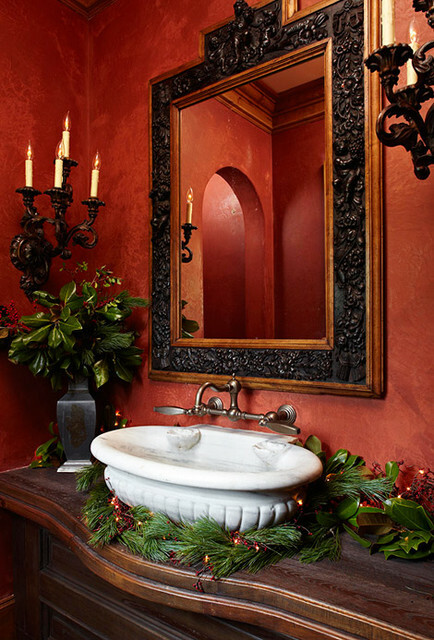 Christmas.Smarter.com Christmas Mantle Decorations Search multiple engines for christmas mantle decorations www.webcrawler.com Traditional Home on Facebook Christmas in the Heart of Texas 18 of 20 18 of 20 RELATED STORIES What a lovely powder room! Your Account TraditionalHome.com Traditional Home Magazine Brand Licensing Partners © Copyright 2010 , Meredith Corporation . All Rights Reserved By using this site, you agree to our Terms of Service.